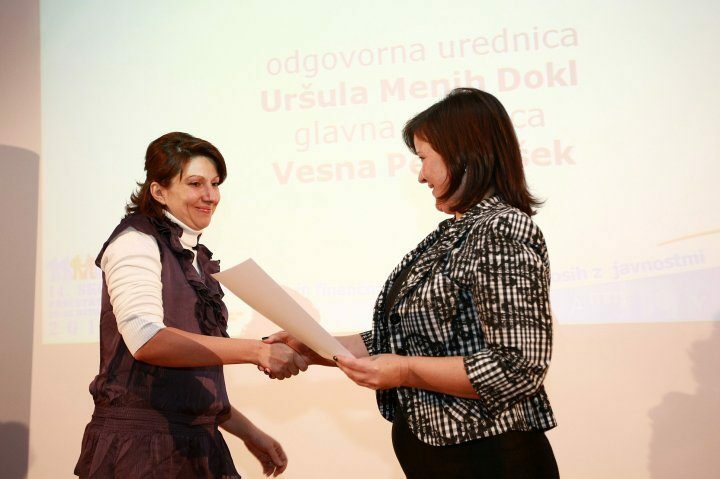 On Thursday, October 21st 2010, Gorenje internal magazine "Pika na G" was presented the Papirus 2010 Award at the 14th Slovenian Conference of Public Relations which took place in Terme Olimje in Podčetrtek, Slovenia. Gorenje's internal magazine "Pika na G" once again ranked among the three best internal magazines in Slovenia. At this year's Papirus 2010 contest it won the second prize. The jury found that "Pika na G" stands out with diversity and richness of information, inclusion of employee statements, use of intelligible language avoiding unnecessary foreign words, graphical highlighting of key contents, neat and contemporary appearance and layout, and vivid photographic material. In addition, sections for children won particular praise. The Papirus Award contest included 14 printed magazines and 5 electronic magazines. First place went to "Obzornik" of the Triglav Insurance ompany, and Krka's "Utrip" took the third place.